It came as Phillip Schofield and Rochelle discussed photos viewers had sent in of their pets watching the programme. Phillip then looked toward the camera to tell ITV viewers to get their phones out. The host left a long pause as he encouraged those at home with pets to start filming, and it was unclear what his intentions were. It then became apparent he was trying to rile up some dogs for their owners. 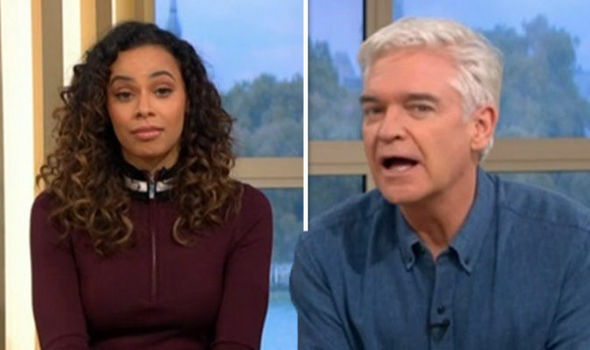 Rochelle didn’t appear to know what Phillip was up to and she was quick to hit out at him. However, it looked as though Phillip got a mixed reaction from the pets watching at home. Viewers took to Twitter to share how their dogs reacted to his stunt.